Topics: Broadband Utility, Professional Services, Network Operations, and Projects & Initiatives. 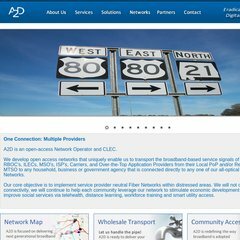 a2dinc.com Public-Private Partnership to Bring World Class Broadband Services ..
8x8.com VoIP Business Phone Service | 8x8, Inc. It is hosted by Godaddy.com Inc (Arizona, Scottsdale,) using Apache web server. There are 2 Nameservers, ns77.domaincontrol.com, and ns78.domaincontrol.com. A2dinc.com's server IP number is 184.168.26.1. PING (184.168.26.1) 56(84) bytes of data.